Here's today's "PhotoShare"...an imposing male lion on morning dune patrol in the Kalahari desert. 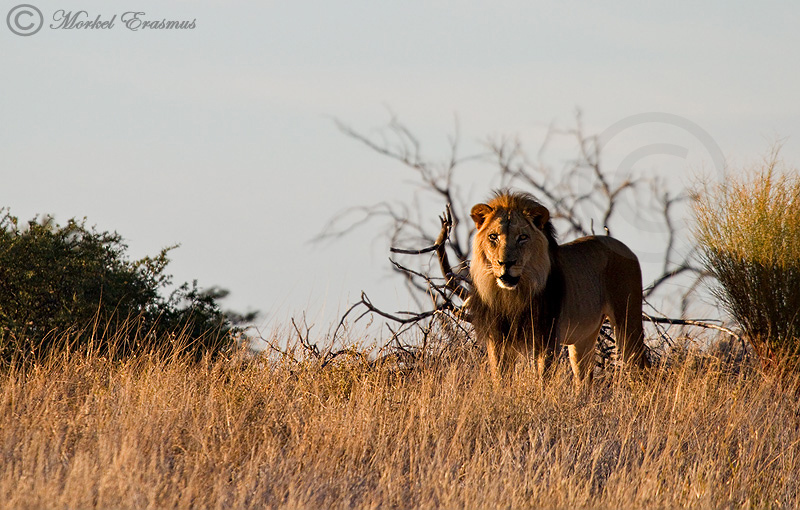 This photo was taken in the Kgalagadi Transfrontier Park, South Africa. Enjoy! thanks so much for the kind comment Andrew! !